The goal of the RESESS Internship program is to increase participation of students from populations underrepresented in the geosciences. 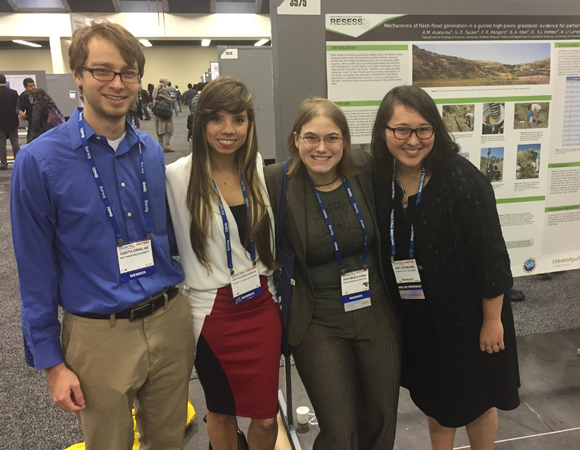 We introduce students to scientific research, prepare students for graduate school, and provide support and encouragement as students build skills and confidence in conducting geoscience research and promoting themselves professionally. Students participate in an authentic research experience and are encouraged to consider graduate school with an eye to a career in science, whether that is in research, teaching, or industry. 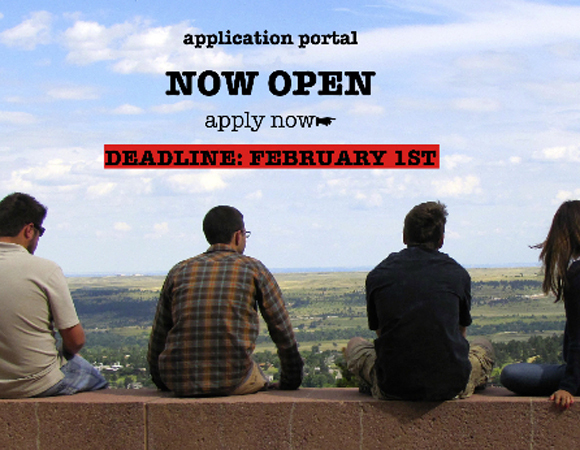 The 2015 RESESS internship application portal is now open! 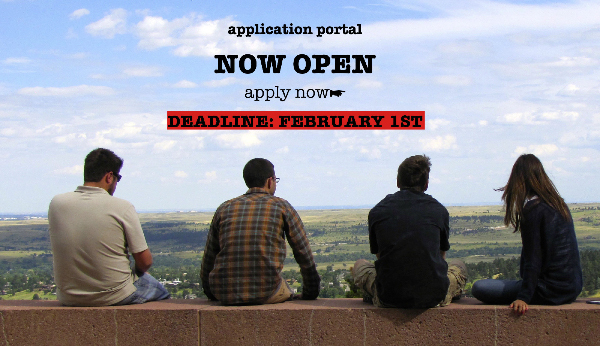 If you know of eligible students who would be great interns for summer 2015, make sure they know that applications will be accepted until 11:59 p.m. MST on February 1, 2015 at our online portal. 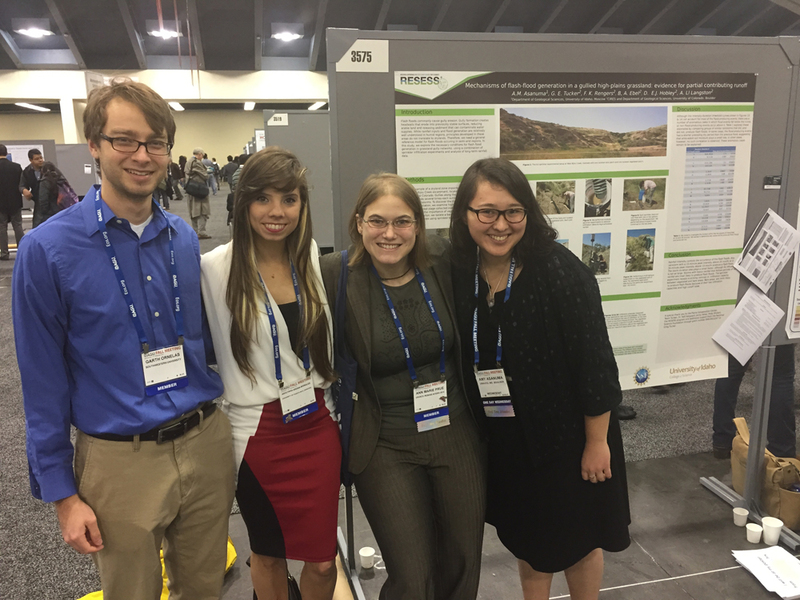 This past fall, 2014 RESESS interns and RESESS alumni participated in the Geological Society of America (GSA) Annual Meeting in Vancouver, British Columbia and the Fall Meeting of the American Geophysical Union (AGU) in San Francisco, California. Six RESESS interns and alumni attended the GSA Annual Meeting in Vancouver. Joshua Russell and Jacqueline Romero, two of the 2014 interns, were awarded travel scholarships for the meeting through GSA’s On to the Future program. 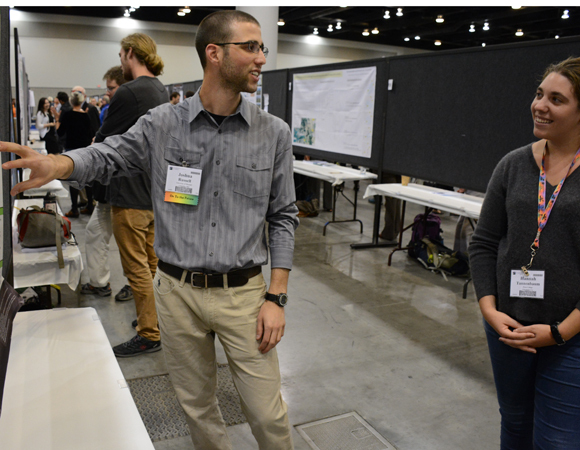 Wesley Weisberg, Joshua, and Jacqueline presented posters on their 2014 RESESS research. 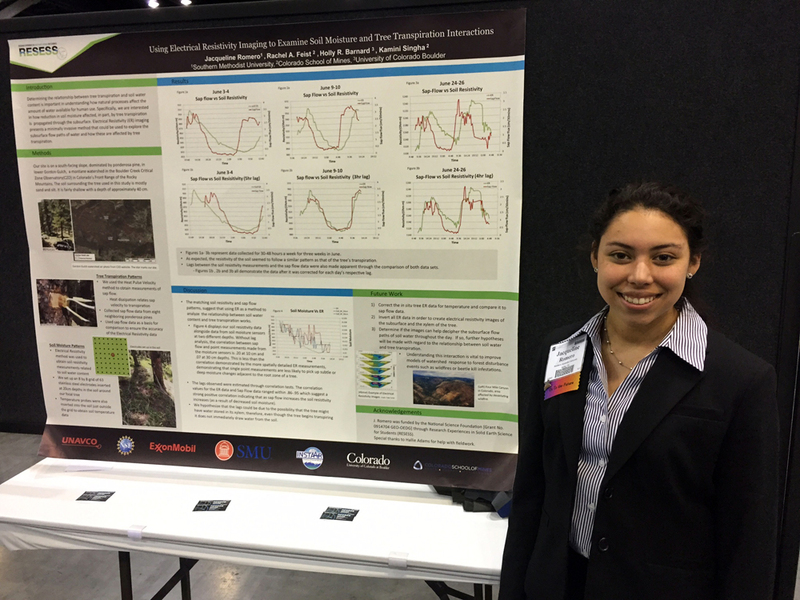 Additionally, Jacqueline Romero received the Association for Women Geoscientists (AWG) Minority Scholarship award! 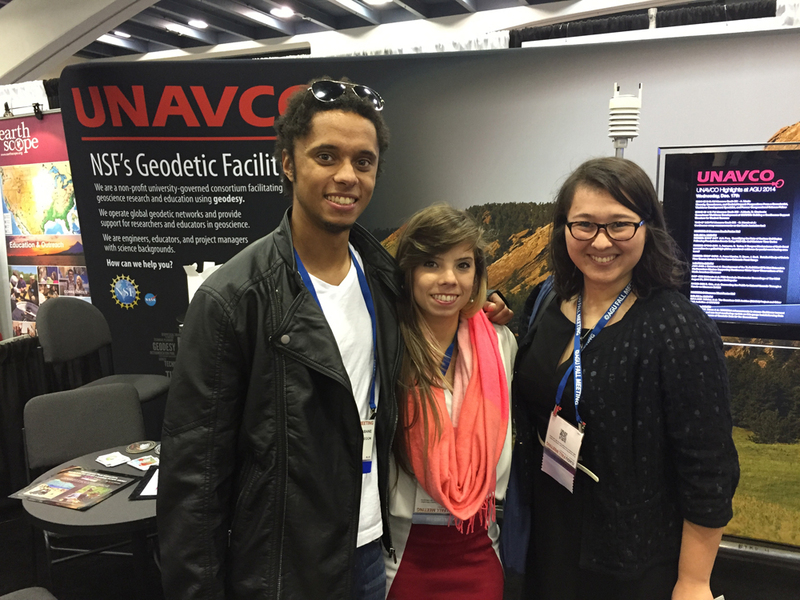 Eleven RESESS interns and alumni attended the AGU Fall Meeting in San Francisco. Ashlyann Arana Morales, Amy Asanuma, Garth Ornelas, and Ann Marie Prue presented posters detailing their 2014 RESESS summer research. RESESS interns also helped staff the UNAVCO booth, where alumni from past years of the RESESS program stopped by to say hello and update us on their progress. "Being part of the RESESS program and UNAVCO not only helped me in my undergraduate studies, but it helped me from the start to the end of my graduate studies. UNAVCO personnel, support and equipment were vital from the end of my undergraduate studies, throughout all of my Ph.D. research." 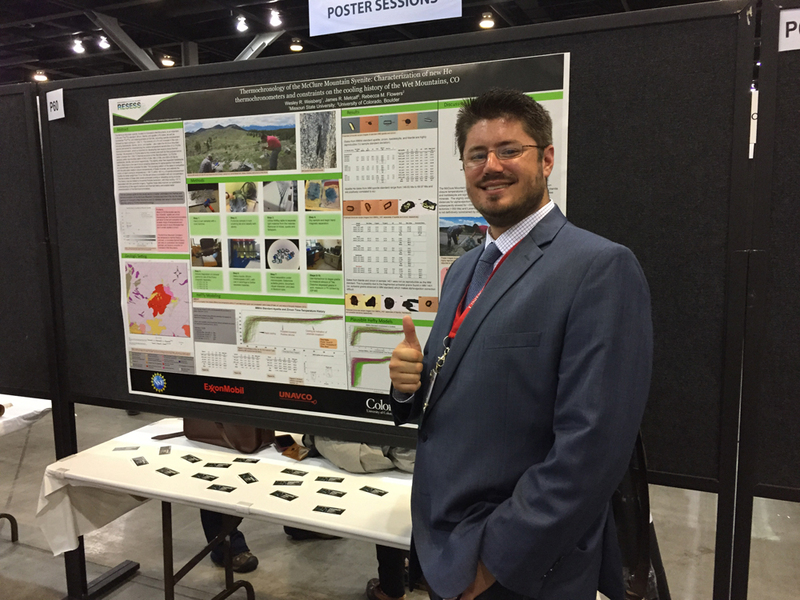 Emanuelle A. Feliciano participated in the RESESS program during the summers of 2007 and 2008, while he was a geology undergraduate at the University of Puerto Rico at Mayagüez. 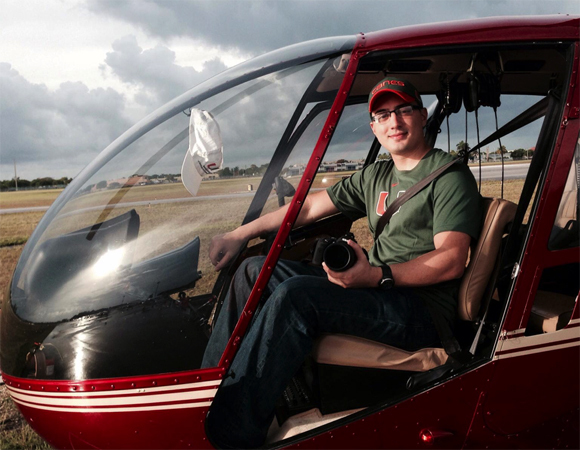 Emanuelle started his doctoral studies in 2010 at the University of Miami Rosenstiel School of Marine and Atmospheric Science under Dr. Shimon Wdowinski. 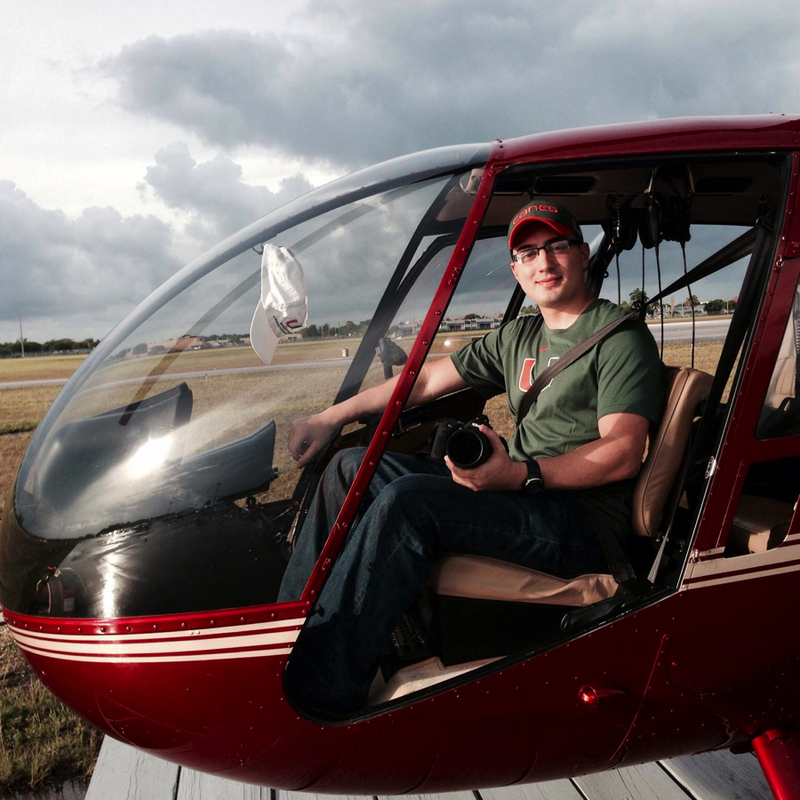 His research focuses on the estimation of carbon, biomass and canopy height in the Everglades National Park using various remote sensing techniques such as LiDAR and InSAR. Although doing fieldwork in the Everglades is no easy task and can be dangerous, Emanuelle is always excited to visit locations inside the park that are only accessible to scientists. He tells us that thanks to the RESESS internships, the application of LiDAR towards his Ph.D. research was very smooth. 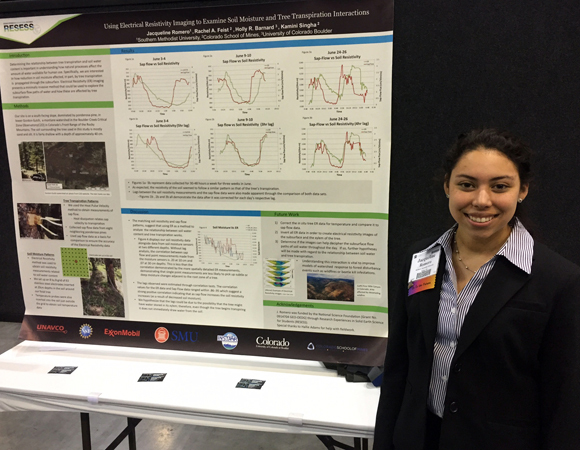 As part of his studies, Emanuelle has been able to visit, participate with, and collaborate with NASA scientists located at NASA Goddard Space Flight Center. 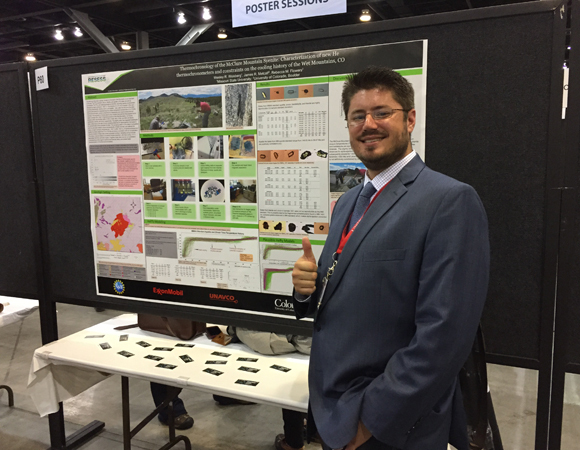 In 2011, Emanuelle was awarded and accepted to the NSF Graduate Research Fellowship for his Ph.D. research. He plans to defend his Ph.D. dissertation in February 2015. 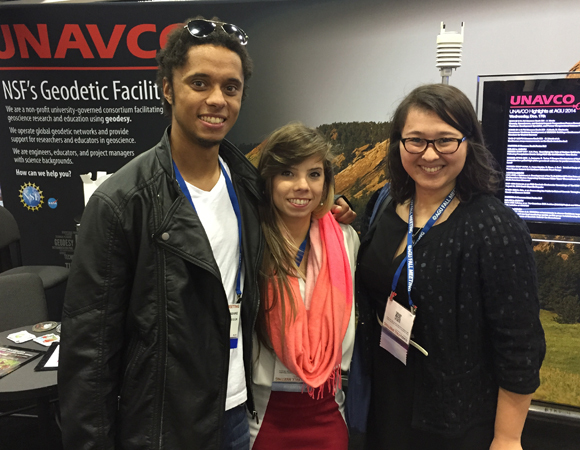 2014 was a fantastic year for UNAVCO and the RESESS program. We had a record number of applicants and brought in a cohort of five new interns and five returning interns. 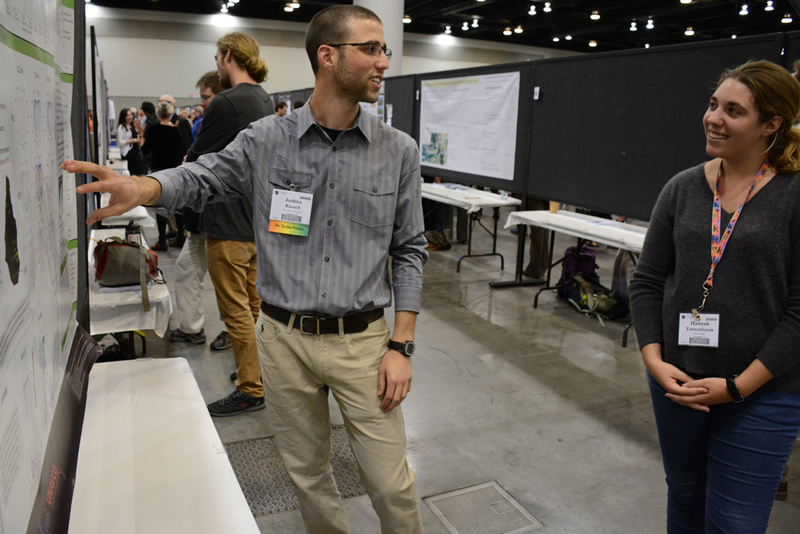 Their research projects were stimulating, and the mentors from the University of Colorado – Boulder, the Colorado School of Mines, the U.S. Geological Survey, UCAR, Cornell University, the University of Nevada – Reno, and UNAVCO were instrumental in developing the interns’ scientific skills. The interns’ work is highlighted in the new 2015 RESESS calendar (listed as 2014 for the cohort year). We are always looking toward future opportunities for collaborations and sponsorship. Help us keep this amazing program on track and moving forward, and serving both our young scientists and our science community as a whole. For potential partnerships, please contact us at resess unavco.org.